This entry was posted on Friday, June 25th, 2010 at 7:54 am and is filed under Uncategorized. You can follow any responses to this entry through the RSS 2.0 feed. You can skip to the end and leave a response. Pinging is currently not allowed. 185 Responses to Jack Wilshere to Man City…. Yeah right!! If we can talk about who’s is rumoured to be linked with us, what about the tosh related to those going out, this one has to be the most far fetched transfer speculation I have ever read…. Tbh I’d wait a couple of years for this lad to spend time in Arsenal’s Training Ground as I believe it is the best in the country. Then I would have him once he has matured into the player he supposedly is going to be! I guess we’ve read the same rumour on the same website! I mean the Jack Wilshere to Man Shittay one. I agree with you about tosh – i am a City fan and we are linked with everyone and their dog ! I wish we weren’t. However, i don’t blame the club in general. These stories are spread by agents in the main. They do provide amusement to fan sites – i found your article via news now not by looking at Arsenal sites ! As to Wilshire not getting in the team i am not sure that is a fair cricism we give people chances, Richards, Onuha, and Ireland as well as a couple of others got chances. Hart and Weiss have been let out on loan and we are having Hart back. Weiss will go on loan again and be brought back. Mancini probably will spend millions but so far has bought A Johnson who nearly got into the England team and started every match that he was fit/available – bought for an oh so expensive £7m and Viera who i think you know about for free – though good wages !! Good to see a City fan here – I agree re you giving the youngsters chance, but that was before you had the takeover. Now you have mega bucks do you think the young players will still get their chance? No offence, but Wilshere wouldn’t get any nearer our starting eleven than yours. He’ll go on to be a top player, but our Academy is at least on a par with Arsenal’s and we’ve plenty coming through just as good as this lad. Being realistic, he’d be fourth or fifth choice for his position as things stand. Hi Summerbee, I know you are right, thats exactly what the post is saying, its silly rumour time and this one is one of the silliest rumours that has been around..
Have to agree with Rico regarding the young players, The likes Toure, Lescott and Kompany arriving has really stunted the growth of Richards and Onuha. Also I still don’t understand why you guys bought Given, yes he is a quality keeper, but so is Hart, what you guys should have looked was getting a quality second string keeper. On the other hand getting for 7 million now looks like a very good piece of business though, in my view he should have been in the England squad. saw this on Newsnow, and it follows a pattern of every player on the transfer market (and loads not) being linked with City. If you’re an agent or selling club, you’d be mad not to allege City are in the running for your assets, throw in Chelsea and maybe Real Madrid, then you might overinflate the player’s price. Maybe it is City’s fault for having to pay the best wages and transfer fees to attract players, especially without CL football yet, but I can’t see any other quick way of improving the team – ok we could poach the best youngsters the way all top clubs do, but they take time to reach maturity, which won’t satisfy our fans or owners I’m sure. Chelski spent massively to establish themselves, and are now trying to improve their youngsters, but this still means buying the best around – ask Leeds Utd fans about how they feel about Chelsea nicking their best kids. In fact, ask any City fan how they felt about Chelsea paying £23 million for Shaun Wright-Phillips when we were poor – not happy bunnies! Theo Walcott is an example of a big club poaching a small clubs star youngster with irresistable big money, it happens, it always will, we’ll all moan about it when it happens to us, but it does make column inches and sparks debate in a frankly boring close season! To be a top club vying for CL honours, you have to spend big on “marquee” players, and get the best youngsters around, all the top teams in Europe do it, even Barca and Arsenal, when you stop spending big, you stop winning the trophies (in the modern game). Sad but true. Unless you are a City or Chelsea fan. I wish our young players like Steven Ireland, Nedum Onuaha, Micah Richards, Joe Hart, Vlad Weiss etc. could make it at CL level, but it’s a massive ask, and unrealistic to expect they’ll all have the physical and mental attributes needed – the odds are against them. Even if City played all England internationals (the England team in effect), they wouldn’t be good enough to win the CL, Barca et al are still better teams, because they have the very best players in the world playing for them, not just a narrow catchment area of a single country, and to think you can make a team from the Greater Manchester area to win trophies is even less likely. Football is becoming the international game FIFA have always wanted it to be – it crosses boundaries like no other phenomenon can, and with it comes the money and the big business, guess we’ll have to live with it. Got to admit, I used to like being the underdog team when things went well, wonder what it’s like to actually win something? All the best foe next season. I can understand why City bought Given, he’s quality and has saved them in many a game – but like you say, there is high chance the Joe Hart will now leave, i’m sure he is Englands future number one, but he won’t be a City club player..
We are in a similar position with Chesney, he will no doubt be a world class goal keeper and wenger knows it, maybe that’s why he’s looking at the old boy schwarzer to fill in for 1/2 seasons until chesney is ready. Ian put it well and nice to have some civilised banter on here.I find it hard that when we were penniless and a laughing stock people usually had us as team they may also follow, their second club.Since we hit the jackpot we are loathed more than Chelsea! !Not a nice feeling.I dont know how the executives have behaved in their approach to buying players,we only have the press view which as we all know isnt always correct.What I do know is that Arabs in general are shrewd and dont like to air their washing in public so I do feel many of these articles are fed by agents looking for better deals. My feeling is that City are trying to spend as much as they can to break the big four before the new rules come in.We have been quietly acquiring some really promising youngsters and this is where our future lies and is why we have been setting up academies all over the place.Hope it works out for us blues.Best wishes to all footie fans. Im a city fan aswell & followed the link from news now as neverheard this particular rumour before. I think Wilshere will be a class player in the future & showed a glimpses of that with Bolton last season. I have to disagree with you that the youth of the club will suffer due to the money we have. As Ian said we spent money on Johnson, an excellent prospect at boro who now looks like he could have a big international future. We signed a young 16 yr old winger from Swindon in the last month called Alex Henshall. From the outside it looks like we are throwing money at everyone that can run in a straight line but as Ian says agents use us as they have done Arsenal, Chelski etc in the past to get an extra few quid for their client. Just want to add to your comment Pierre that it is refreshing to debate with City fans without the barage of abuse that many other club fans bring with them.. I certainly didn’t mean to offend with my comment of your clubs money killing youth, like i said earlier, wenger talks abouth that so much, with him though i believe he’s just trying to justify why he doesnt spend. City fans here, are you pleased that Hughes bought Lardybayor?? We all comment on how Wenger plays his kids in the league cup, and how it maybe demeans the competition, but now City are finding they need good competitive games for our kids, newbies and returnees from long term injuries, without jeopardising our league status – we cannot afford passengers anymore, like Roque Santa Cruz, yet he may well come good with games under his belt. Fergie does it too up to a point, when he knows he really needs his big guns out, looks like we will have to do the same. It’s a steep learning curve City are on, so copying you guys will be a compliment to Wenger’s shrewdness – makes me laugh when I hear calls for his head in the media for not winning anything – please sack him, we’ll take him in a shot (cue loads of City fans reminding me of last season’s shenanigans!). Vlad Weiss is another I don’t think will benefit from playing that kind of football for long as well. Hey-ho, got to go to work now, good forum guys, keep it up! Bolton = Cloggers – spot on! Nice to see so many City fans on the site, astonished that they all make intelligent reasoned arguments. A refreshing change from the venomous jealous gunk that accompanies posts from the spuds. Jack Wilshire to City is extremely unlikely, but if the rumour filters through to Wenger, he might actually play him!! How about that Italy score yesterday? Thank goodness we don’t have any Italian players, more disappointment after Bendtner and Song! Like you I think the Wilshire transfer rumour is rubbish, but at the end of the day, Le Prof has to be careful that excellent kids like him don’t get fed up with being hoiked around to the likes of Bolton and becoming cheesed off. I sent something to Ave by email, seems to be working. RA, also, like the city fan said, why send players to bolton? i thought it was a good idea until this morning, now i thinking again…. Ah, was it about the captain?? You know I am a sports tart, and have just been watching F1 race practice in Valencia. The weather there seems, as usual, to be brill. My Cousin has lived in Valencia for most of her life, big fan of Valencia FC, (poor thing) and I have suddenly decided I need to go visit her again, before the footie season starts again. Howdy all.rvp scored!more of the same robin. Morning ktr7, im pleased for robin..
Nah RA, didn’t Colly’s runs scored yesterday make him the highest scoring Englishman in the one day game?? You’ve arrived just in time, I’m boring the arse off everyone. And Paul Collingwood overhauled Alec Stewart’s total of 4,677 to become England’s all-time leading scorer in one-day cricket during his innings of 48. KT, can you see Chillie sending Spain packing?? I really hope they do, selfishly I want Cesc to be free to answer a few questions out his club, you know, the one that pays his wages!! Spain need to win don’t they? Should be a good game KT i really hope chile win and send the spanish packing…. Trust me rico Bielsa will out-fox del bosque.if villa and torres start chile will play 3 at the back ensuring they have a spare cb but at the same time they have 4 in midfield.chile’s players are so versatile rico.their defenders are Serie A players while their forwards ply their trades in laliga.they have a nice spanish-italian footy philosophy that is great to watch. amenity, who is hating city??? please read the earlier chat between city fans and us gooners, no hatred there!! ‘morning all. i cannot do much posting today. i took off from work so i can run some errands before i drive up to new york city tomorrow morning (bringing our kids to visit my my mom for a couple of weeks) – i guess that is apropos, seeing the ny-la discussion. good to see citeh fans visiting, also good to see discussions without so much rancour. also good to see more un-sourced, no-quote cesc stories making the rounds. one rag runs the “story”, others pick it up and then we are being deluged. we call that “circular reporting” in my line of work…oh, and tim howard suffers from tourette’s syndrome rico, you were correct on that one. i watched him play for the ny/nj metrostars (now red bulls) before red nose signed him for man utd. Not going to give it no thought my arsen, you just have by publishing a rubbish article about it and wasting my time you amateur writer you. On the other hand the ShittyBlues have just got up! good to see Cityblue defending the honour of our venerable club, without reading all the previous comments! You can set your clock by him. In fairness, he brooks no nonsense from any detractors of City, he’s just being over-protective! We do seem to be the club to hate at the moment, which really pisses most of us fans off, as we’ve been the comedy, loveable club for so long. So far I don’t think we’ve attracted a new breed of “fly-by-night” fans, we still get the same attendances we’ve always had, and that is something to be proud of I think. I like prawn sandwiches as much as the next Northerner, but I wouldn’t want to eat one at a footy match. Thanks for the heads up. I think you know that nothing detrimental was said or meant in the article or follow up comments by Gooner fans. Actually, I have never had a prawn sandwich in my years watching football, so I agree with you. (not to say that wealthy supporters of all clubs don’t partake of the odd prawn sambo) 😦 Not real footie fans are they. looking forward to stuffing Manure now we’re on a level financial playing field! As far as Adebarndoor is concerned, he’s been acting like a jilted girlfriend, still warring with her ex, whilst the new boyfriend watches on in disbelief! I think he still loves you guys! I hope he gets over you, and remembers who is actually paying his massive wages this season, or perhaps Fernando Torres will get fed up replacing his hubcaps every other week and move to Manchester – fingers crossed! Really good to hear from guys like you! Obviously you are a big City fan, and proud of it, as I am of Arsenal, but this shows that we can talk as footie lovers as well. Portugal should have scored just now. Mierless (?) has no left foot and tried to do the impossible with his right foot. I’m a big fan of the passing game, and none have done it as well as Arsene’s teams, (we’ll not mention George Grahams’s idea of a winning team! ), they’re one of the teams I have to watch on TV, just for the joy of it. I hope City can reach those heady heights, we’ve seen glimpses of what we can acheive last season under Hughes and Mancini. Well, I’m off to pick the missus up from the Bingo in my Reliant Robin Supervan, collect the whippet from the vets and tuck into some black pudding and tripe sarnies for tea. (I apologise if any of the above Northern stereotypes have offended anyone who actually lives like that!). Rico, Boo back, yours truly has been holding the fort and had a good chat with IGON. 🙂 … and watching the footie, although it’s crap! 😦 Including Melo .. he doesn’t do it for me. RA, Brazil and Portugal was dire, but you just knew that is how the game would pan out, both through, no injuries etc etc, . Evening all.just woke up from that dire game involving brazil and portugal.cr9 is quite selfish…its also sad news that ozil’s grandma has just died…RIP! Hello, all. Save for the odd spoiling for a fight comment, we have some really top posts today. RA, you’re on a roll! Erick, I really am glad, I’m done with school. Hola, KT. I’m glad I didn’t bother to watch Brazil and Portugal. A goalless draw! Honestly. Erick leave rico alone…its bad enough that her farm animals bother her not even mentioning wath.what more do you need to know?or are you taking your business into her area?anyway cheers!its been a long time and hope you pass your exams.i’m also busy studying while also watching the wc,i feel your pain…and also if anyone should complain about writing and literature stuff it should be me! Hi KT, you are right the game was rubbish. Erick you also know that Rico keeps cockerels! 🙂 and she is going to move to the South Coast, with her hounds. You prayers have just been answered RA…. Soy aquí, RA! ¿Cómo estás? Arsène Wenger expects to welcome a new defender to Arsenal “quite soon”. The manager has been linked with a number of centre backs this summer as William Gallas, Sol Campbell and Mikael Silvestre all approach the end of their current contracts at Emirates Stadium. Wenger told Arsenal.com last week that he wanted to announce a new signing before the end of the World Cup but he is staying tight-lipped over the identity of that player amid reports that Lorient defender Laurent Koscielny is close to completing a move to North London. “Nothing has been done yet but I expect something will be done quite soon on that front, on the defensive front. 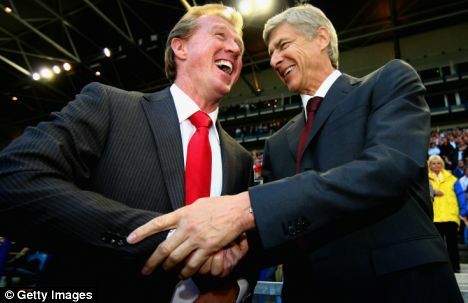 We will sign a player soon,” Wenger told Arsenal.com this week. “But we do not want to come out with names before we announce it. Agag, the goose gog, (GG get it), estoy bien gracias por preguntar. Hello all.. Wenger gave the fans freedom of inventive enjoyment.. We can imagine these players at arsenal..exacerbated by the rumours.. He will sign none of them any way.. I have to pop next door and water the neighbours garden, don’t go away….. I wasn’t on long yesterday to chat about your first post I dozed of… But I woke up in time for RvP. Time zones are messing up my life. Erick, believe me, you start working and it’s no better either. (what a right ray of sunshine I am) Why are you suddenly wooing rico? But I do know YKW is Mi Amor. Hahaha. 1. Dando y dando, pajarito volando our YKW..
Boo, STV. 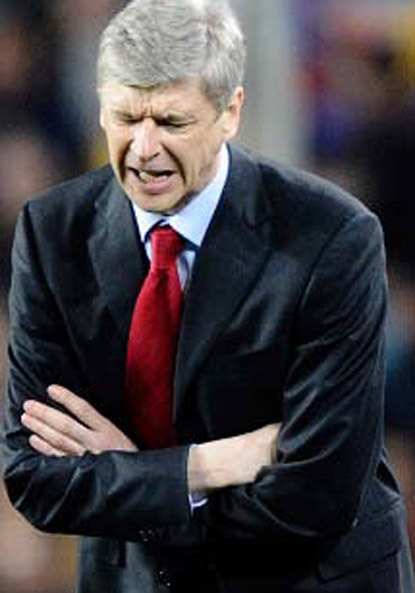 I have given up hope on Wenger. He’ll never sign the Torreses and VDVs and Affelays. Had a crap day. 😦 I hope Chile beat Spain. That would turn my day around. I never got to see that film. I actually would not be offended at all. wow realistic thought..Agag I want to stab your boss..
KT, I agree. I can’t even write one post, let alone do it every day. A really fantastic job you do here, rico. By the by, I don’t think Wilshere should be loaned out any longer. He just needs first team minutes and he will settle. Rico, you are so sweet, and I am your biggest fan. The deafening silence from the others about my efforts has made me change my plans. RA, I was just clumsy with my words. Fishing for compliments, are we? 🙂 Have you read John Lanchester’s A Debt to Pleasure? You write similarly. And that’s a compliment, let there be no confusion. Rico dont you know,..the boss is taking some serious footie talks sleep and GG, 🙂 working 50400 sec/day !! I meant The Debt to Pleasure. Like I said before agag, its the people who blog here that make Avenell Road what it is, some come and abuse every now and again but the ‘locals’ stay, thats the most important. Look at right now, the WC is going on, but for us all we just carry on as if we were sat eating and chatting in a local restaurant, thats what makes it all tick…. Then, when the Arsenal season starts, we all start, moaning, whinging, basking in the glory of a goal from Theo…. and so it goes on, but we are all doing ok and that what really matters…. Oi Red Arse, get back here…. I still cant distinguish well b/w ‘avenell road’ and Rico. You keep it alive with your spanking posts..and comments. You should be appreciated more..
Thats absolutely right.. The real madness will come when the Arsenal season starts.. It is a good community, we are agreed. And JJ writes stuff you can’t fence-sit about! Bless! Ave’s really funny too. KT’s stuff I always learn from. I’d be the first to admit, I get distracted by the puppy dog eyes and pearly whites. Haha. Oh and the goal has to come from Theo, huh, rico? LOL. On and Off Agag!! what happened ? Sorry Rico, but I am no great loss. It did work, I promise, honestly…..
What is up with your knee, tell us tomorrow RA, please…. now it seems you have all gone…. I’m offski fine folk, thanks to all for a fun day, it makes it all so worthwhile….